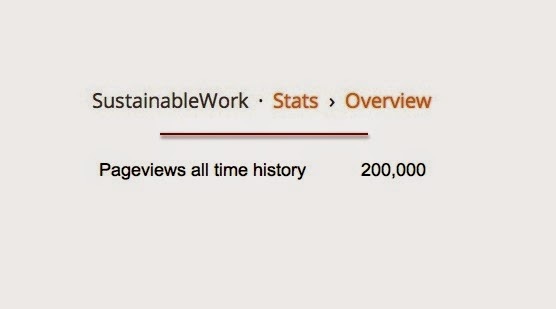 I'm so grateful for 200,000 visits to Sustainable Work. I've been writing about entrepreneurship at this site since early 2005. This weekend our total page views passed 200,000. For a kid who always wanted to write, it's a big honor. Thank you to everyone who has followed this work. Entrepreneurship has moved our species from caves to space exploration. I love this story.